Join us in the creative process! Join us on Saturday, April 9th for a sneak peek into the creative process! Composer David Schanzer will visit NYC to collaborate intensively with Ballaro Dance on their current project, Sounds In Space! 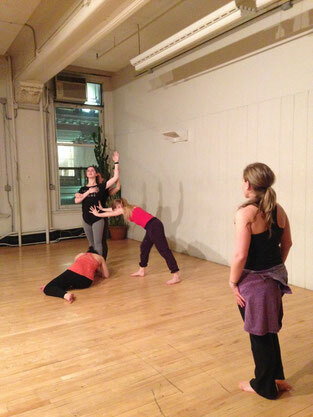 See us in action as we develop Helen, a new work about choreographer Marisa f. Ballaro's maternal grandmother. Your method of explaining all in this piece of writing is in fact nice, all be capable of without difficulty understand it, Thanks a lot. We absolutely love your blog and find a lot of your post's to be what precisely I'm looking for. Does one offer guest writers to write content for you? I wouldn't mind composing a post or elaborating on many of the subjects you write regarding here. Again, awesome website! Hi there colleagues, its enormous article about teachingand entirely defined, keep it up all the time. We're a bunch of volunteers and starting a new scheme in our community. Your website provided us with useful information to work on. You have done a formidable process and our whole neighborhood will likely be grateful to you.